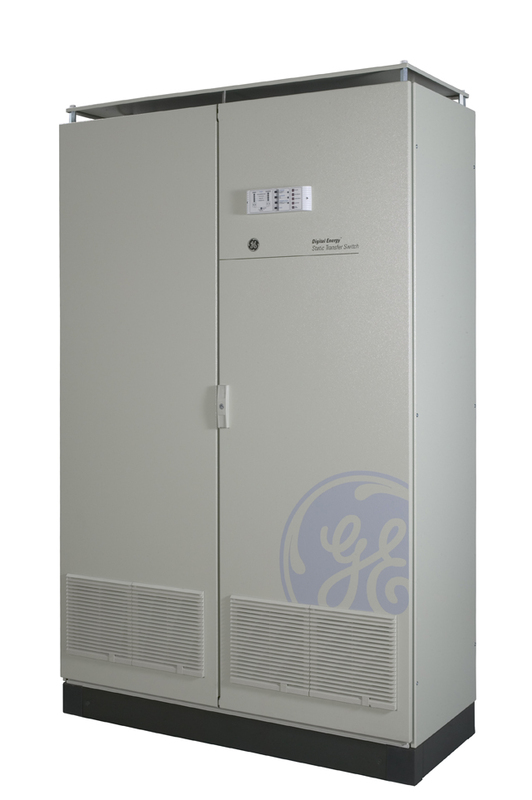 GE Static Transfer Switches (STS) are designed to transfer the supply between two independent AC power sources. Unlike traditional automatic transfer switches (ATS), a static transfer switch provides a fast load transfer (typically 1/4 of a cycle), which ensures uninterrupted operation of sensitive electronic equipment. Load retransfer to the preferred input source is virtually instantaneous (typically 0.1 ms). The basic applications of STS are in automatic systems in the power industry, power supply systems for petrochemical industry, computer and telecommunication centres, automatic and security systems of ‘intelligent’ buildings as well as other equipment which is sensitive to interruptions in the supply. The excellent overload capability and transfer algorithm enables fast fuse clearance in the event of a short-circuit. As a consequence the voltage immediately returns to normal to supply the other loads. The built-in transient voltage surge suppression system for SCR switches provides additional protection against damage to the supplied equipment.